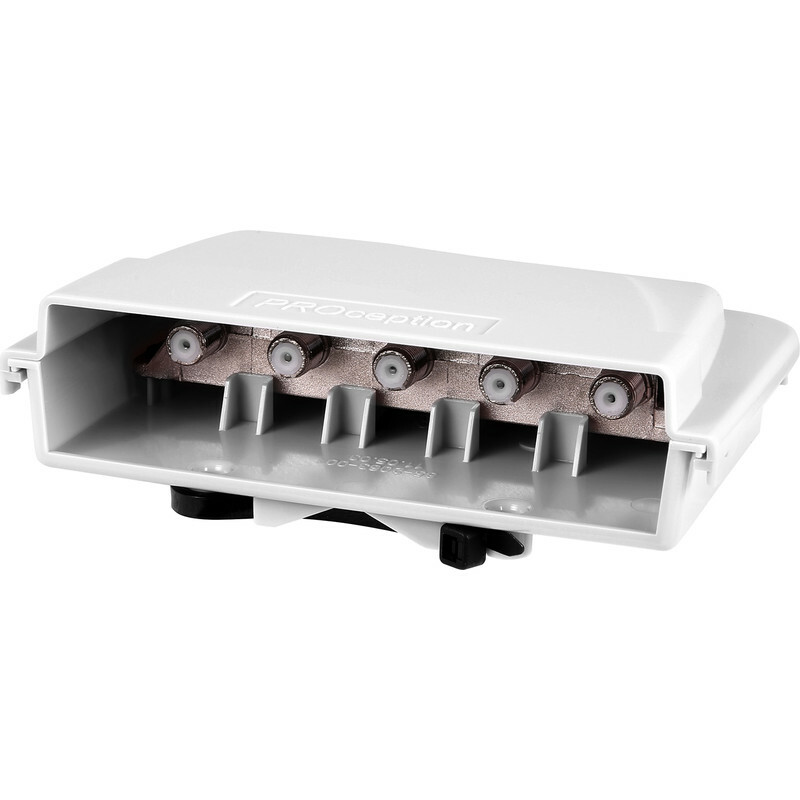 4 way UHF amplifier provides digital and analogue signals around the home, particularly for multi-digital box households using Freeview, Sky or both. TETRA filtered to help avoid interference from nearby transmitters. Mode 1 - where mains available locally use power supply 69651 or power remotely via any output using a remote power supply 61182 or suitable Freeview box / IDTV. In mode 2 the 4-way system can be powered entirely from a Sky box. Dual Mode Sky/Freeview Amplifier & Flexible Power 4 Way External Masthead is rated 5.0 out of 5 by 4. Rated 5 out of 5 by StevieG2000 from Small, light weight and useful I bought this to amplify the digital TV signal from the aerial on the roof to our YouViewbox. Used in conjunction with CT100 coaxial cable, also bought from Toolstation, the amplifier works to wonderful effect. I also connected a second TV to the amplifier. We now receive more TV channels than before, with no signal loss. Rated 5 out of 5 by Thomily Electrical from Does the job Simple to install, however (as always) connectors difficult to attach. Used with PSU only so can not comment on remote power functionality. Rated 5 out of 5 by Gripper72 from 4g ready Installed in attic in a new build house,nice and small with led light to let you know its powered up, boosted the signal levels nicely, all fittings are f-cons and make for better secure fit. 4g ready so will filter out interference.